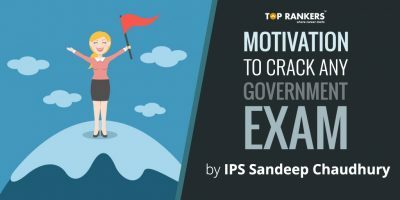 TSPSC Recruitment 2017 for Officers And Professors – Grab Telangana Govt Jobs and pave the road for your bright future. 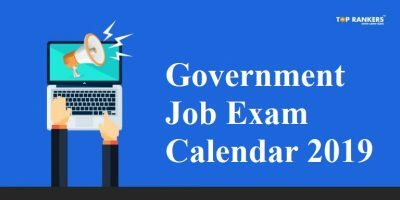 TSPSC Recruitment 2017 for Officers And Professors – 1125 Vacancies: Telangana State Public Service Commission has released two separate notifications for the recruitment of Agriculture Extension Officer Grade II and Assistant Professors. It is a good opportunity to grab Telangana govt jobs for the interested candidates. You can find the information regarding the TSPSC notifications below. 2) Diploma in Agricultural Engineering / B.tech (Agrl.Engg.) on equal proportion. Assistant Professor (Non-Clinical Departments) Must possess M.D./MS/MBBS with Ph.D or D.Sc in the relevant discipline (Anatomy, Physiology, Bio-Chemistry, Pharmacology, Pathology, Microbiology, Community Medicine, Forensic Medicine, Transfusion Medicine). The Applicant must register the additional qualification(Post Graduation Degree) on permanent basis, with Telangana State Medical Council / A.P Medical Council. Registration certificate issued by AP Medical Council is valid for 5 years from the date of their registration in both States of Telangana and Andhra Pradesh. M.Sc. Medical Physiology, M.Sc., Medical Pharmacology, M.Sc Medical Micro-Biology, M.Sc. Med.Bacteriology and Ph.D (Pathology)/D.Sc. (Pathology) registration with the Telangana State Medical Council is not mandatory. Assistant Professor (Clinical Departments) Must possess M.D./MS in the relevant discipline (General Medicine, General Surgery, Obstetrics & Gynaecology, Paediatrics, Tuberculosis & chest Diseases, Psychiatry, Dermatology Venereology & Leprosy, Orthopaedics, Anaesthesiology, Radio-Diagnosis, Radio-Theraphy, E.N.T., Opthalmology, Hospital Administration, Emergency Medicine). The Applicant must register the additional qualification(Post Graduation Degree) on permanent basis, with Telangana State Medical Council / A.P Medical Council. Assistant Professor (Super Specialty Departments) Must possess D.M./MD/M.Ch in the relevant discipline (Cardiology, Clinical Pharmacology, Endocrinology, Medical Gastro-enterology, Neonatalogy, Nephrology, Neurology, C.T. Surgery, Urology, Neuro Surgery, Paediatric Surgery, Plastic Surgery, Surgical Gastroenterology) along with relevant years of training. The Applicant must register the additional qualification(Post Graduation Degree) on permanent basis, with Telangana State Medical Council / A.P Medical Council. Assistant Professor (Dental Departments) Must possess a Master’s Degree in the relevant discipline (Prosthodontics, Oral Pathology, Conservative Dentistry & Endodontics, Oral Maxiofacial Surgery, Periodontics, Oral medicine and Radiology, Public Health and Dentistry and Preventive Dentistry ) and recognised by Dental Council of India. For all the posts mentioned above, you should be between 18 to 44 years of age (as on 1st July 2017) to be eligible. 1) Visit their official website. 2) For the post of Officer, fill in the form with the correct details and upload the scanned copies of relevant documents. After submitting the form, you have to pay the fees online. For the post of Assistant Professor, download the form and fill it with the required details. 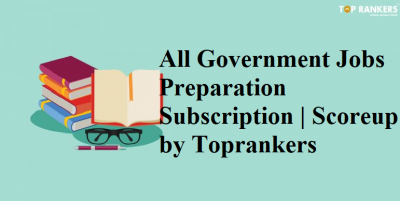 Send it along with three sets of relevant photocopies of the documents to The Secretary, Telangana State Public Service Commission, Prathibha Bhavan, Nampally, Hyderabad – 500001 by Registered Post. You can find the link to the official TSPSC notifications below. You can find the post on TSPSC Teacher Recruitment 2017 on the link below. 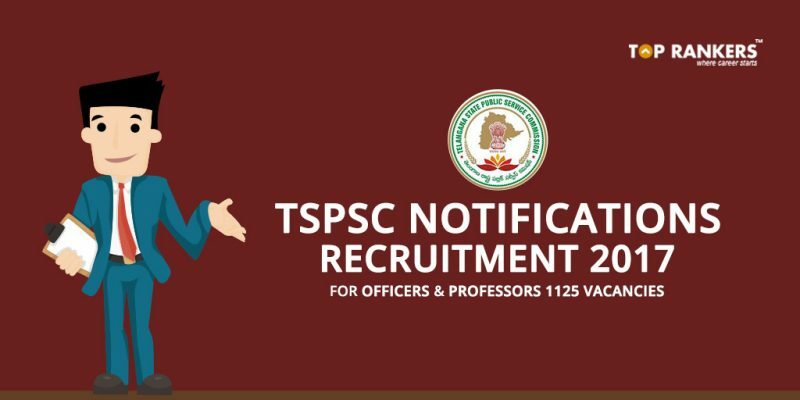 Did you find our post on TSPSC Recruitment 2017 for Officers And Professors – 1125 Vacancies helpful? 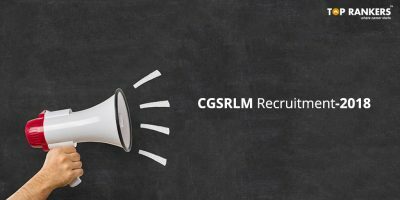 Keep visiting us for more recruitment updates.